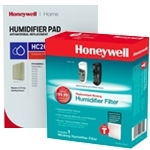 Honeywell Humidifier Filters, Replacement Filters and Replacement Humidifier Pads! 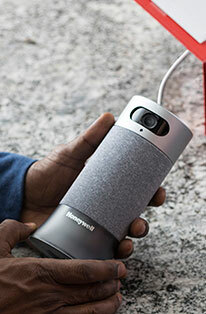 Designed with the individual in mind, the Honeywell Store's collection of Honeywell Home Air Quality products and accessories exceed the many demands one would associate with superior quality. The Honeywell Store features a robust collection of Humidifier Filters, Air Purifier Filters and Furnace HVAC Filters that all showcase an extensive compatibility range and a series of strengths. For this entry, we will be focusing primarily on the Honeywell Store's offering of Hoenywell Humidifier Filters and how they can be instrumental in establishing the ideal breathing environment. 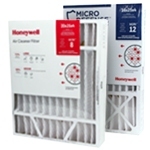 The Honeywell HAC-504AW Humidifier Replacement Filter, Air Washing Prefilter is an exceptionally popular selection amongst Honeywell Store consumers due to its sheer efficiency and elongated lifespan. Capable of eliminating a host of harmful pollutants and minerals floating within your breathing space, Honeywell Humidifier Filters have been reinforced to ensure maximum performance and an increased duration of operation. The integration of Protec Antimicrobial Treatment also distinguishes Honeywell Humidifier Filters to an even greater extent as this will actively prevent the growth and migration of mold, fungus, algae and various other forms of bacteria. Honeywell Humidifier Filters also showcase a convenient solution that allows for effortless installation and replacement. The Honeywell Store has included a Dry Lift Handle to accompany many of their models. Not only will this addition keep your hands dry and clean whenever you change your Honeywell filter, it reduces the amount of time spent recharging filters and simplifies the entire process. The Honeywell HC-14N Replacement Humidifier Filter E is another popular selection that employs all of the strengths of the previous model and features a separate compatibility range. A collection of other popular Honeywell filters such as the Honeywell HC-14N Replacement Humidifier Filter E and the Honeywell HC26P1002 Whole House Humidifier Pad have been included to ensure that every customer has access to a filter suited to match their individual preferences. 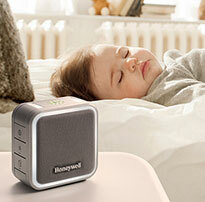 Featuring both portable and whole house options, the Honeywell Store has also assembled a versatile collection of Honeywell Humidifiers that display an unsurpassed standard in creating the ideal breathing experience. 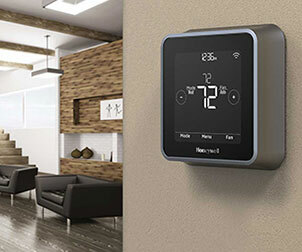 Visit the Honeywell Store today and save an additional 15% off your next purchase that matches or exceeds $30.00. 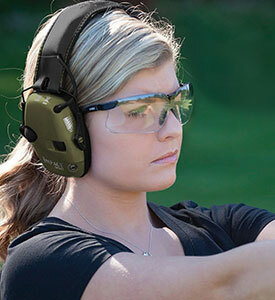 This is a limited time offer exclusive only to the Honeywell Store. For additional information, please visit the Coupon Code page. Honeywell Humidifier Replacement Pads and Filters. 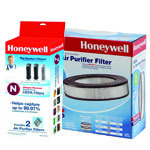 Honeywell Air Purifier Replacement Filters.